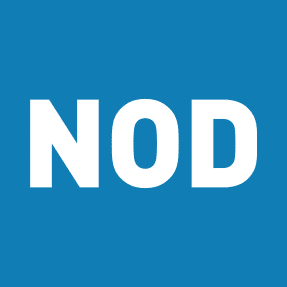 NEW YORK (OCT. 10, 2018) – The National Organization on Disability (NOD) – in partnership with several of America’s leading companies – has launched “Look Closer,” a public-awareness campaign urging employers and recruiters to consider the tenacity and perseverance of people with disabilities when hiring new talent. NOD and some of the world’s most influential companies, including Anthem Inc., ConantLeadership, Diversity Inc., EY, The Hershey Company, Prudential Financial, PwC, Spectrum and UPS, are raising awareness and bringing about real change in how and who we hire. These nine companies, which together employ more than one million people and earn annual revenues topping $250 billion, have joined forces to support this movement and have pledged their commitment to advance disability inclusion within their own workplaces. 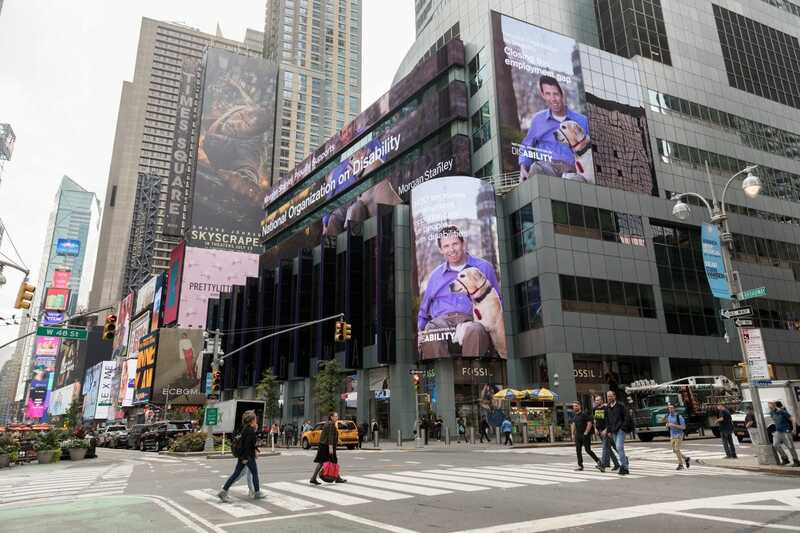 The multi-media campaign was unveiled in Times Square thanks to the generosity of Morgan Stanley. Their “Lights on Broadway” initiative, which provides ad space to nonprofits, brought the “Look Closer” campaign to the giant screens of their headquarters at 1585 Broadway in the heart of New York City. Coinciding with National Disability Employment Awareness Month, the “Look Closer” campaign is highlight the 20 million Americans with disabilities who are innovative and know how to get things done—but are not employed. Learn how you and your company can look closer and increase employment for people with disabilities.